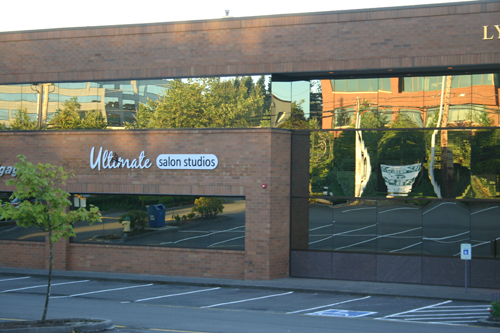 Ultimate Salon Studios opened in 2010 near Alderwood Mall in Lynnwood, Washington, opened in Bellevue, Washington in January 2013 and expanded in Lynnwood in 2016. The salon studio concept brings together a talented collection of salon professionals, each an owner, in a setting customers love. This allows them to concentrate on performing their best for their customers without the daily distractions of financing and operating a business. 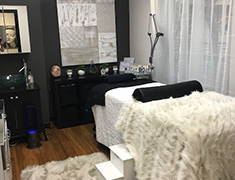 Salon owners offer the following services: Haircut, color, balayage and special occasion, eyelash extensions, sugaring, waxing, professional barbering, gel and shellac nails, hair extensions, facials, spray tans, massage and permanent makeup. For stylists, please note: Ultimate was created by business professionals with years of experience in entrepreneurship. 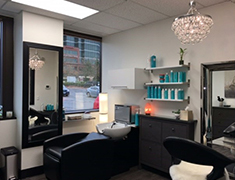 The studios near Alderwood Mall and in Bellevue are generously sized and are completely equipped with new furnishings sufficient to open your own salon immediately. 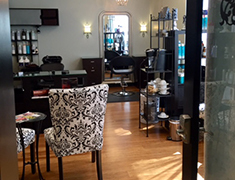 We invite you to discuss our location with any of our current salon owners and take the time to compare your options. 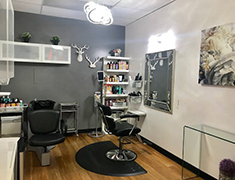 Our strengths are local ownership with business and construction backgrounds to keep your salon operational through almost any event and a tenant focused dedication to value and flexibility. - Enter through the double glass doors. - Please park in the free upper parking lot. - Enter through the doorway with a brown awning.